Yesterday afternoon I photographed a Boeing 777-300ER flying over my home, according to radar data it was at approximately 32,000 ft. 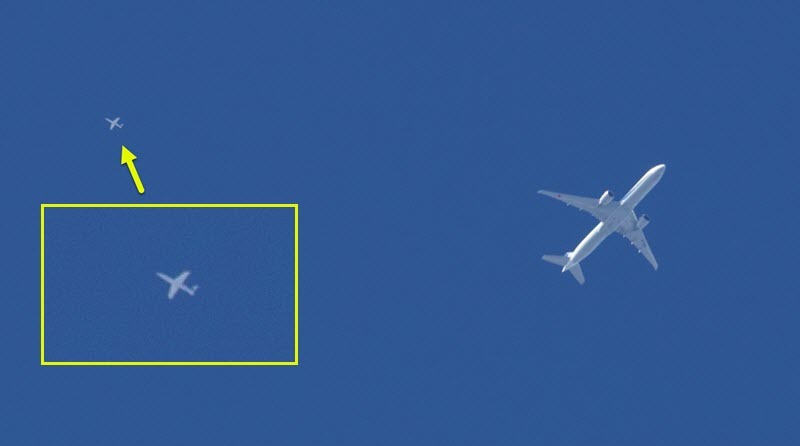 In the photograph there is another aircraft present, it is much smaller and higher in altitude (40,000-50,000 ft) and it is a small aircraft, possibly a drone or military. 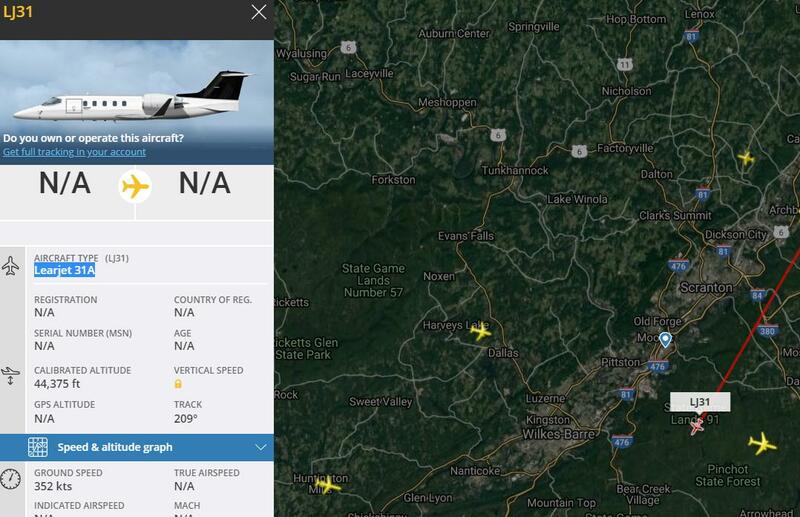 It did not appear on any flight tracking sites. I usually see military traffic flying in that particular route and heading. I have numerous "raw" images of this particular aircraft. I originally though it may be an L-39 although that particular aircraft does not have a T tail design and I think that it would struggle at that altitude. The photographs were taken at 1545 EST over the LVZ VOR. The aircraft was flying an almost perfect east to west heading usually reserved for military traffic. One interesting note is that it was not leaving a contrail. I routinely photograph B-52's, tankers, and fighter aircraft transitioning over my home at or about that altitude and they almost always leave contrails. 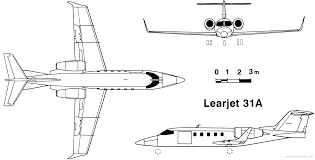 So, judging by that, the jet in question is actually a Learjet 31, as said by John K.
I'd say it's a corporate jet. 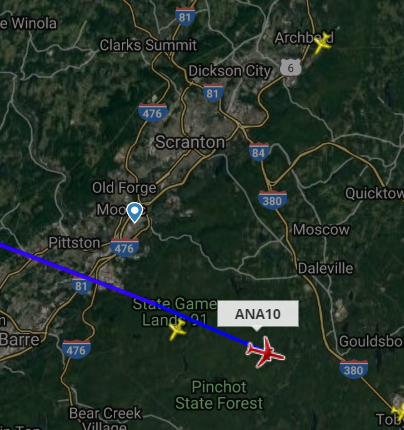 Corporate jets normally play between 40-55000 ft, above the bulk of the airline traffic down in the 30s, so this is a perfectly normal sight. 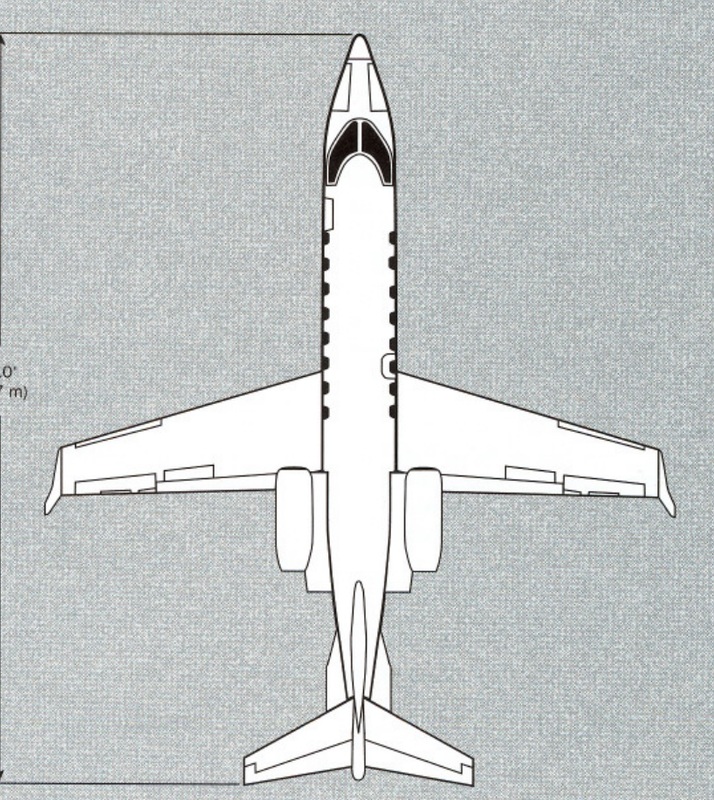 Based on the wing planform with straight trailing edge and swept leading edge, and what looks like a T tail and ventral fins, I'm going with Lear 45 or a similar Lear variant (Service ceiling 51000 ft). The viewing aspect doesn't look like from directly below so the engines won't stick out very clearly. What is this fighter jet that flew over KJST? What flying machine is this model? What is this aircraft seen over Southern California? What is this aircraft that has flown over my house all day?